Autumn colours were starting to appear during my October 2006 visit. As usual, the best colours were generally in the most difficult positions to include in photos. 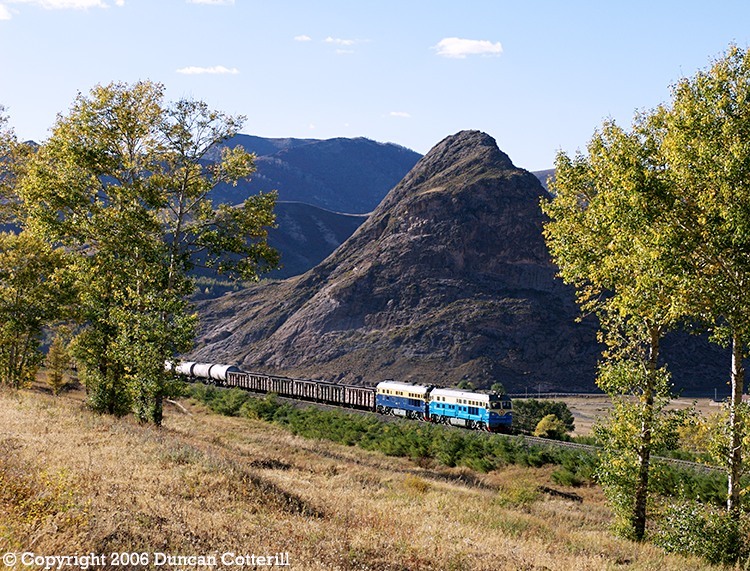 DF4D 4245 and DF4 9517 were photographed climbing the pass with a mixed freight on 4 October 2006, framed by trees that were just starting to turn.